The hungry lion realizes he stands no chance against these jungle kings. With a loud growl he gives up his life. 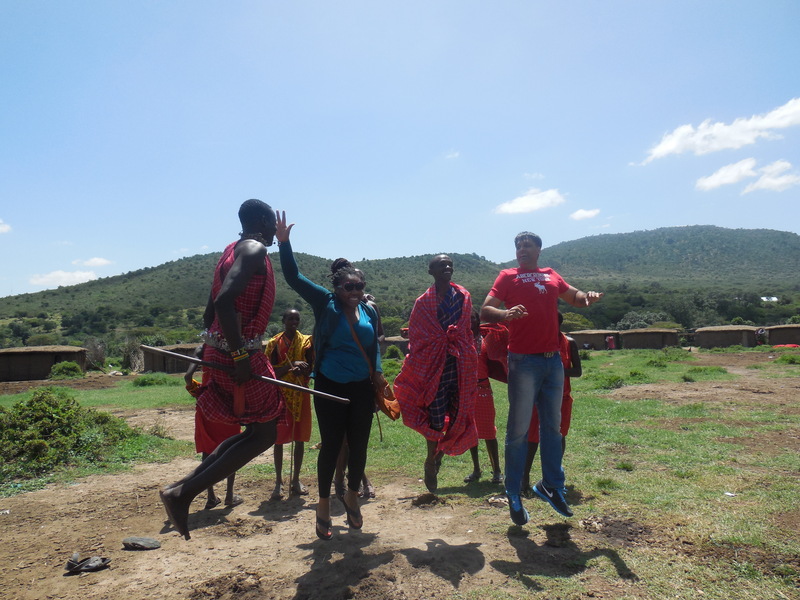 As I searched for my roots in Africa, I asked our tour operator to take us to a Masai Village. 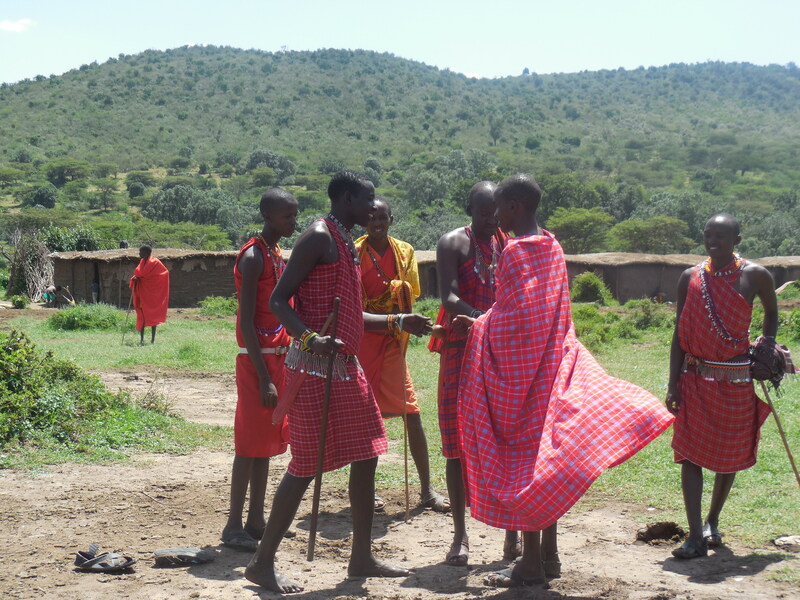 The Masai Warriors are a nomadic group of people who live in small communities throughout East African countries such as Tanzania and Kenya. Majority of their diet is made up of beef, cow blood and milk. Their life is simple and their wealth is in the amount of cattle that they own. 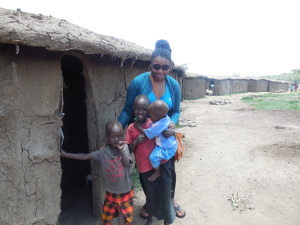 We arrived at the village, which was a group of about 30 huts built around a circle. 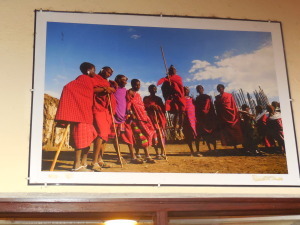 Due to numerous tourist visitors many of the teenage boys spoke English, (thanks to the Kenyan government). The first thing I noticed when visiting the village was the flies. A guy met us at the front and as he welcomed us I noticed the numerous flies on his face. Later I found out that the villagers have a symbiotic relationship with their cows. Masai do not practice Agriculture since they live among predators. John, a Masai I met told me that about a decade ago they tried to grow maize and two men were killed trying to defend the fields againsts killer elephants. 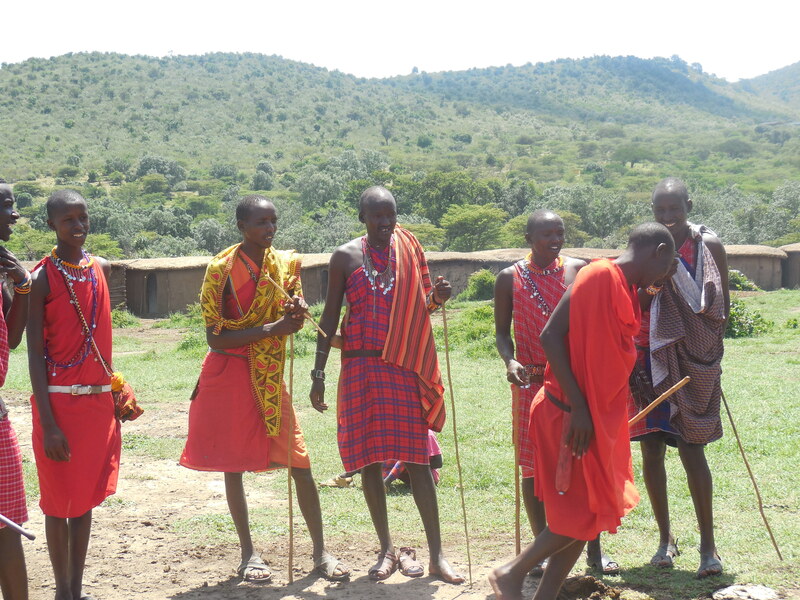 Cows are the primary source of food and building material for the Masai. 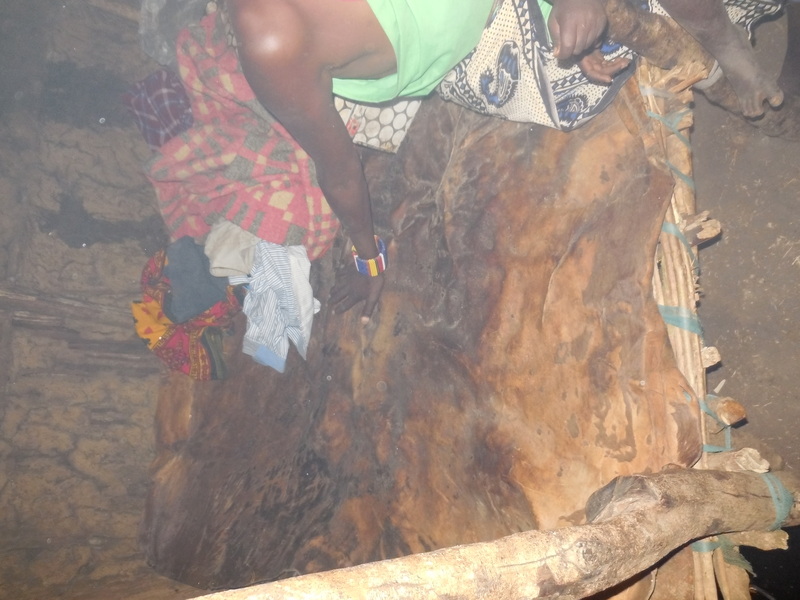 Their dried skin is used as bedding and the dried dung is used as construction material. Cows are so valuable to the Masai people that the front room in the Masai’s tiny home is used to house calves at nights. The Cows fresh dung attracts flies, thousands and thousands of them! The people were covered in them. I saw one child with about 15 flies on his face. I instinctively tried to fan the flies away as the mother grabbed the child thinking I was shooing the child. I smiled and stroked the child’s face trying to convey to the mom that I wasn’t shooing the child. Honestly I have never been around that many flies and my first instinct was to run back to the Safari van, however I realized that these villagers were nice enough to allow me into their village and I didn’t want to miss the opportunity due to my fear of the flies. Heck I could always take a shower or three back at the lodge. 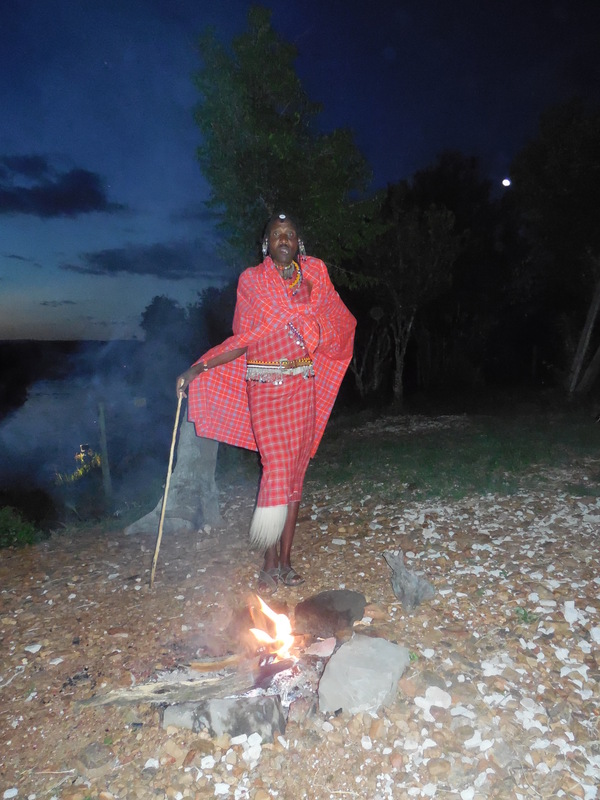 Another part of the tour that interested me is the Masai home. 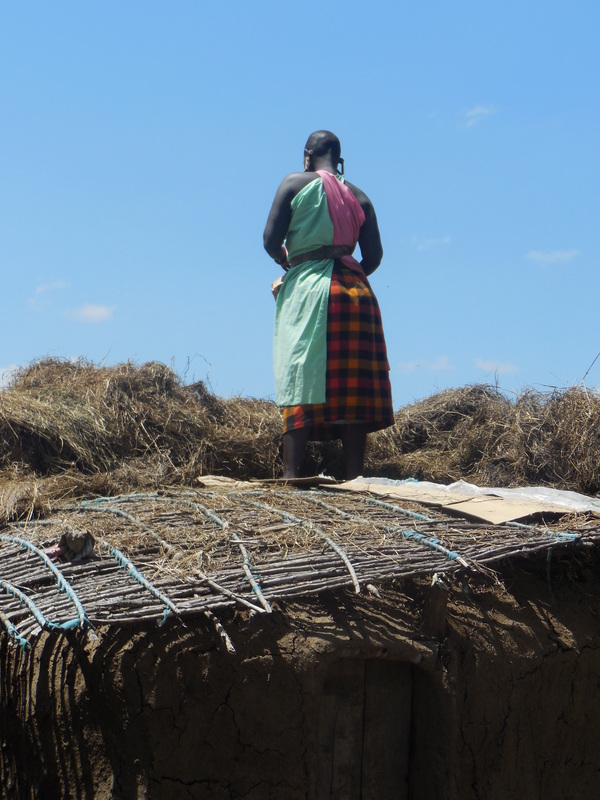 The homes were small and circular built with sticks, clay and dried cow dung. 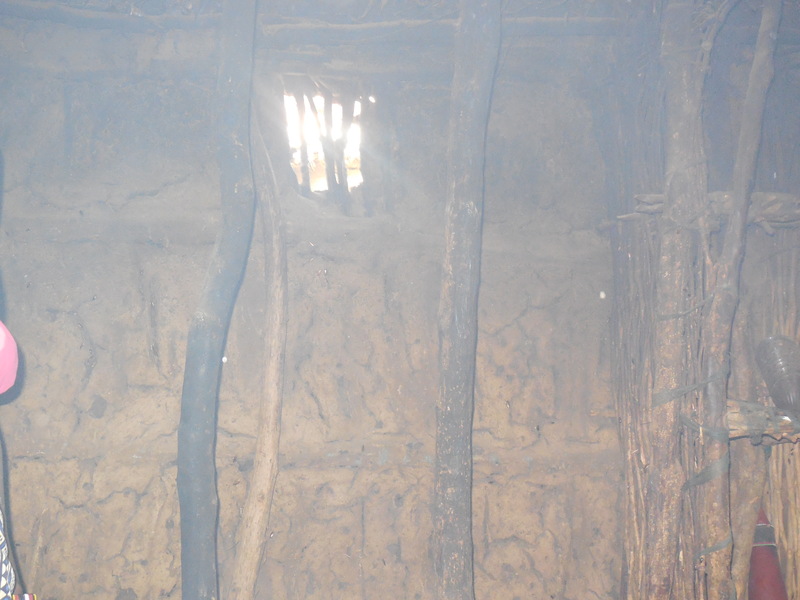 The homes were very simple and unventilated with dirt floors, beds made of sticks and covered by cowhide. 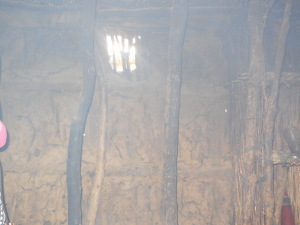 The house was extremely dark and smoky with only a small window (about 6”X6”). One thing that amazed me was that the cooking is done in the tiny, dark house which requires some serious skills. Before my trip, I considered bringing items for the villagers such as clothes, food and first aid items, however I decided not to in the end. 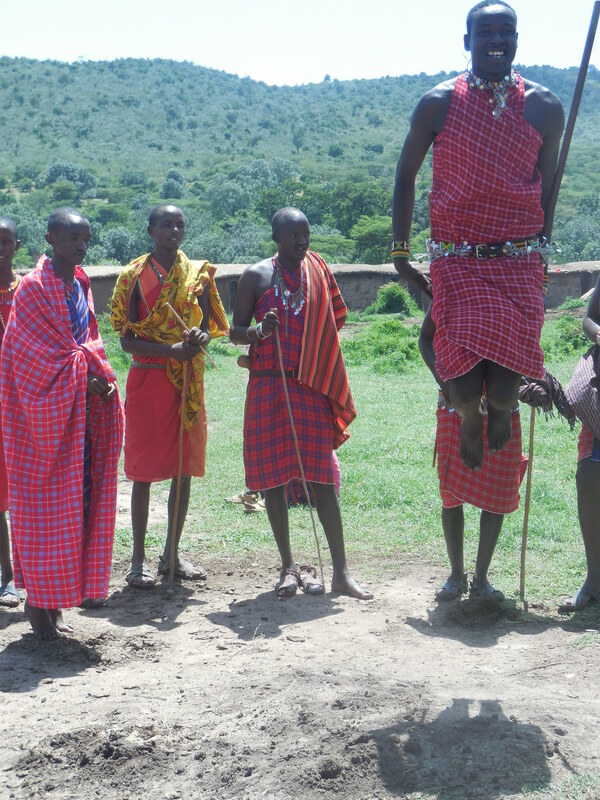 Silly statistics would say the Masai live on less than $2/day which would classify them as poor. Their diet is packed with fats and low in grain which is a far cry from the Standard American Diet. When I went to village, I saw healthy, lean, fit people compliments of their low carb diet. They were well fed, happy and very educated with the life skills required to survive in the jungle. . Their lifestyle involved herding cows, starting a fire using friction (although I’m an engineer I can only do that in theory), and fighting off predators. 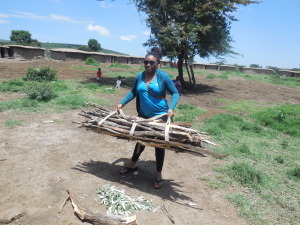 I saw no need in the village and I was happy I didn’t show up with an arrogant, savior mentality. 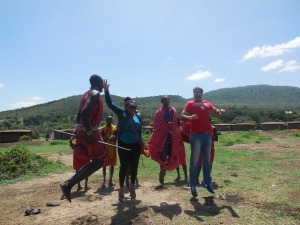 My favorite part of the visit was dancing with the Masai. 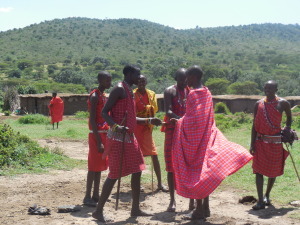 The men were long and lean with beautiful dark skin clad in colorful blankets called Chukka’s. Their dance involved jumping and man could they jump high. They could beat anybody at my crossfit gym in box jumps. As they jumped they made a grunting noise. 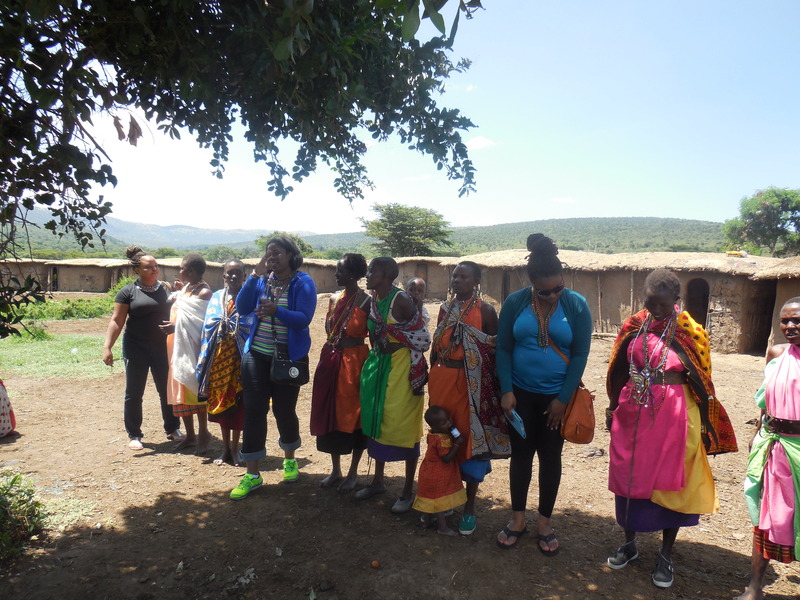 The women also sang and danced for us. They were stunning and walked with such grace as if on a runway. They were decorated with beaded jewelry, beautiful chukkas and shaved heads. We danced, sang (well tried) and jumped until we were out of breath, (didn’t take long).